Although the healthcare sector is focused at its core on helping people live long, fulfilling lives, there’s one aspect of the industry that will outlast even the healthiest of humans, and that’s Big Data. Big Data is powerful, persistent and — increasingly for those in the healthcare sector — of paramount importance. Healthcare organizations rely on Big Data analytics to manage risk and understand trends and outcomes, but analyzing such massive quantities of data, especially with the speed and agility required for making sense of it, can be a staggeringly complicated endeavor. It can also be staggeringly expensive to ignore: According to the US Insurance Data Management Association, unreliable, incomplete, or poor-quality data cost organizations between 15% and 20% of their operating budgets. 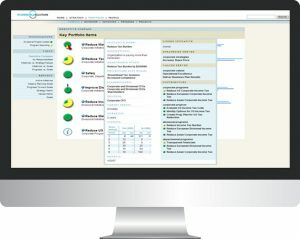 To provide high-quality care while also optimizing business operations, health systems must integrate data from a complex matrix of electronic health records (including those housed at multiple hospital branches or affiliate institutions), genetic data, data generated by laboratory and pharmacy information systems (both internal and external), data originating from insurance companies, suppliers or devices, and countless other data sources. Complicating matters further is the need to collect, curate and validate this data while simultaneously preventing the data collection process from becoming bloated and inefficient. And of course, organizations must also allow for enough time to analyze the data for insights while promptly getting the right data into the hands of decision-makers. It’s not always possible or desirable to add additional full-time workers to manage Big Data. Instead, data governance — a process for regulating data acquisition and data sharing, optimizing workflow and ensuring data quality — is becoming an indispensable tool for supporting the strategic clinical and financial optimization of healthcare organizations. 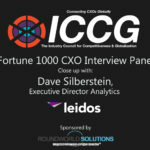 Emerging in tandem with a move toward data governance is a move toward a model where CXOs, including CFOs, function horizontally across business lines. Successful CFOs know they need to play a role in data governance, both in terms of application and data content layers, with the understanding that Big Data will outlast facilities, devices and people, and is arguably a company’s most valuable asset. Data, to put it simply, is where the money is. Data governance, like all day-to-day hospital operations, requires both cultural buy-in and oversight, and many organizations in the healthcare sector are establishing Data Governance Committees and Data Stewards to ensure that data is complete, valid and timely — the trifecta of well-governed data. To ensure that poor quality data does not adversely affect an organization’s decision making, the Data Governance Committee must be lean and agile, capable of quickly reacting to concerns and enforcing necessary changes required to optimize data systems and workflows. One example comes from the realms of chronic disease management and clinical decision support. To manage health risks to the population – and specifically to manage chronic diseases – providers must be able to identify patients at a high risk of developing conditions such as diabetes, heart failure, and chronic kidney disease (CKD), which can be both harmful to the patient and costly for the provider. When a proper data governance plan makes Big Data available to care providers through electronic health records and other means, those providers can develop risk scores, monitor patients, and provide precision care by dividing patients into specific cohorts depending on their needs. For such an approach to gain traction, however, the data being used must be trustworthy, and for it to be trustworthy it must be accurate. There are a number of data governance measures healthcare CXOs can take to assure that faulty data analysis does not cause confusion or, worse, lead to mistakes in clinical decision-making. 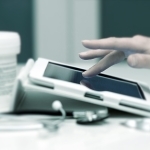 Care must be taken to clean the EHR data before it is analyzed, and both pinpoint and account for missing data and errors, which tend to arise when workflows are not aligned with assumptions about process. Eliminating non-standard data terms and definitions is also key, as is ensuring that data is automated and gathered at optimally controlled time intervals so that data points do not conflict with one another or turn up missing from pertinent datasets. Building trust into a system also requires that systems of record be delineated and that data storage provides a number of options depending on the data size. Another hallmark of successful data governance is access. All healthcare stakeholders — including clinical, technical and administrative partners, as well as patients — should be provided access to data wherever possible to avoid “turf wars” and other conflicts over data ownership. Roles and responsibilities must be documented and information be delivered consistently and via appropriate enterprise reports or dashboards. These stakeholders must also be trained in data literacy, i.e. the ability to understand which data is important or meaningful to their role within the organization, whether or not data is of a high quality and which tools, techniques or processes should be used to analyze the data. An example of the impact access to data can have is on the research arm of the healthcare sector. Providing researchers across disciplines with proper access to large datasets means that health science can move from hypothesis-driven science to “hypothesis-generating” science, where the data itself provides researchers with new questions to answer. Sharing massive datasets offers huge potential for improving public health, but accurate, actionable research starts with a decent database — or several. Agreeing upon a common language and tools for sharing data across disciplines is also key, as is agreeing upon data sharing protocols for data collected via crowdsourcing (by way of personal health devices, for example), which poses an entirely new set of data governance challenges for researchers in the health sciences. Another corner of the healthcare industry that can improve via robust data governance is billing and claims analysis. The majority of fraudulent insurance claims in the U.S. are derived from healthcare claims. The U.S. Department of Justice (DOJ) reported recovery of nearly $2 billion in healthcare fraud settlements in 2015 under the False Claims Act, and a single instance of healthcare billing fraud that year amounted to $600 million. 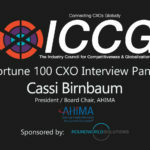 To combat fraud in healthcare, insurers and federal agencies must be provided access to large volumes of healthcare data to spot hidden claim duplicates, detect zero-value medical events and assess the probability of fraud within specific provider groups, care settings, regions, or patient populations. The staggering volume of this data alone poses a huge data governance challenge, with nearly 45,000 new providers reportedly applying for Medicare enrollments every month, not to mention data that can be generated from other sources. Access, quality-control and an optimal workflow are essential for proper governance of such data. The purpose of data governance is not to “own” data, but to use data for better decision-making. In the most effective organizations, the data governance and information security committees are combined and given adequate autonomy from executive leadership to allow for maximum agility, efficiency and collaboration. 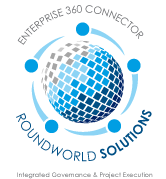 RoundWorld Solutions’ Big Data 360-degree Tool can help CXOs customize an end-to-end data integration and governance framework that allows all stakeholders to jointly design and optimize data. “We can work with you to account for and address problems common to efforts in data governance — including multiple siloed databases, insufficient infrastructure and a lack of cultural buy-in — in order to provide consistent, accurate and trusted enterprise-scale analytic insights,” says RoundWorld Solutions CEO Ajay Sarkar.